One of the reasons we chose to move to Raleigh was its proximity to some amazing cities on the east coast. 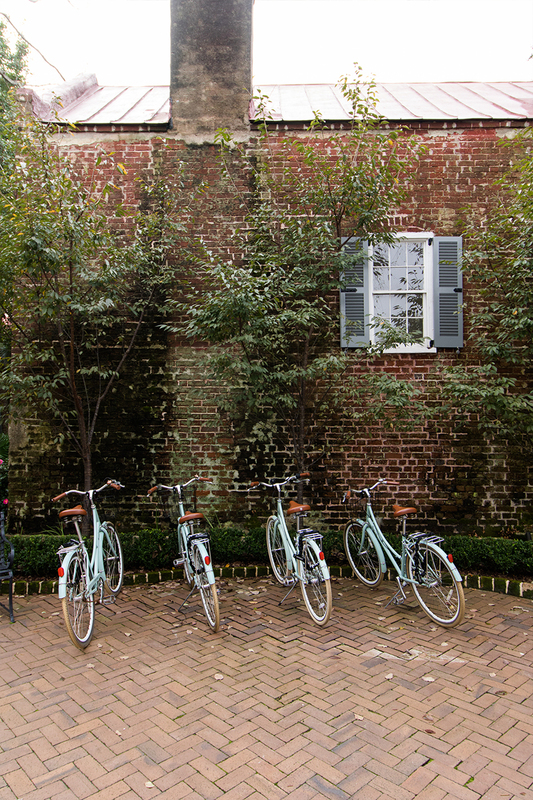 We are just a couple hours drive from New York City, Washington DC, the Outerbanks, Richmond, Charleston, and Savannah. 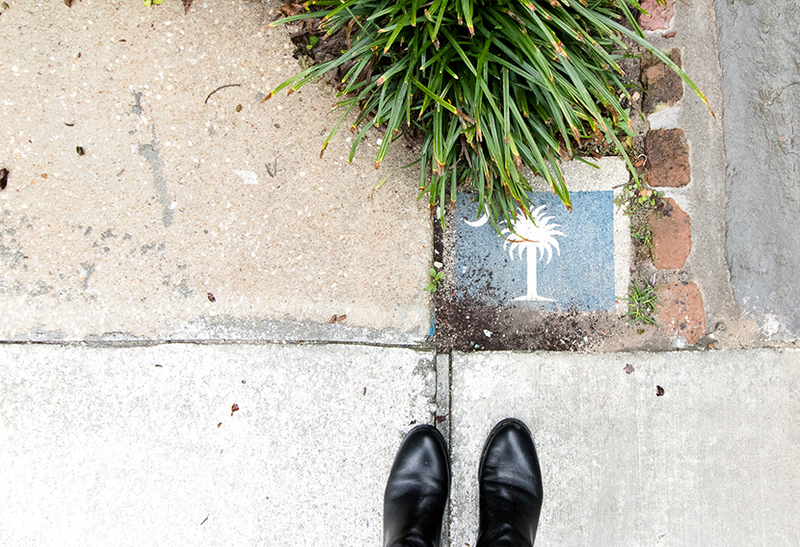 Of all of those cities, we have been dreaming of visiting Charleston since we moved to Raleigh. All we needed was the perfect excuse to make the drive down. Now that I am 27 weeks pregnant my travel options are a bit more limited than they were just weeks before, so a weekend trip is more my speed. 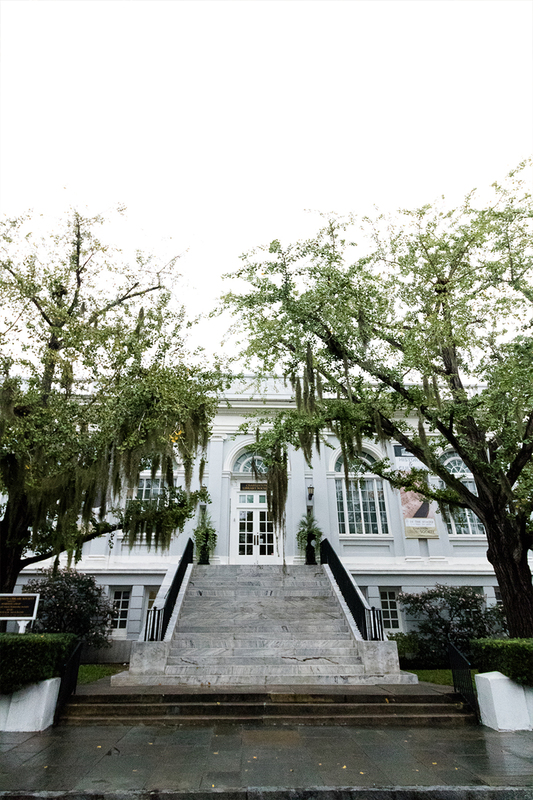 So we decided this was the perfect time to make the 4-hour drive south to Charleston, South Carolina and see why everyone loves this southern foodie city so much. 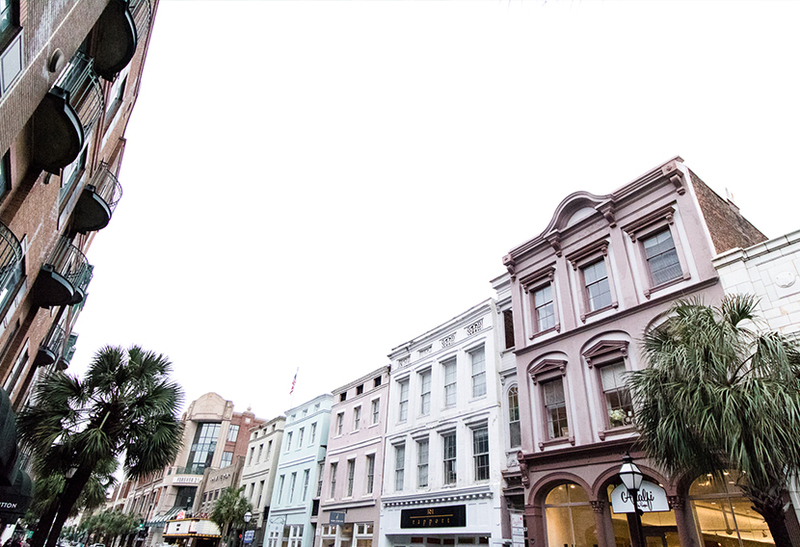 In addition to wanting to explore the city of Charleston, Mike has been looking for an excuse to try out an entry level DSLR on a travel trip. He’s exclusively shot with Canon cameras for over 6 years but has always shot with the top of the line full frame cameras, and never really explored the more affordable models. So we thought we would give the Canon EOS Rebel T6i DSLR while we traveled in Charleston. We loved this camera and lens combo and you can see the results here in the post, every image in this post, along with the video above, were shot with the Canon EOS Rebel T6i DSLR. We have always made a point to bring a camera with us no matter where we go and we never regret it. Sure there have been some scary times on the train in Italy and on the streets of South Africa, but the images we can get with a proper DSLR always make it worth the effort. No matter how good our phones are, there is just something missing in our images when we leave the DSLR at home. 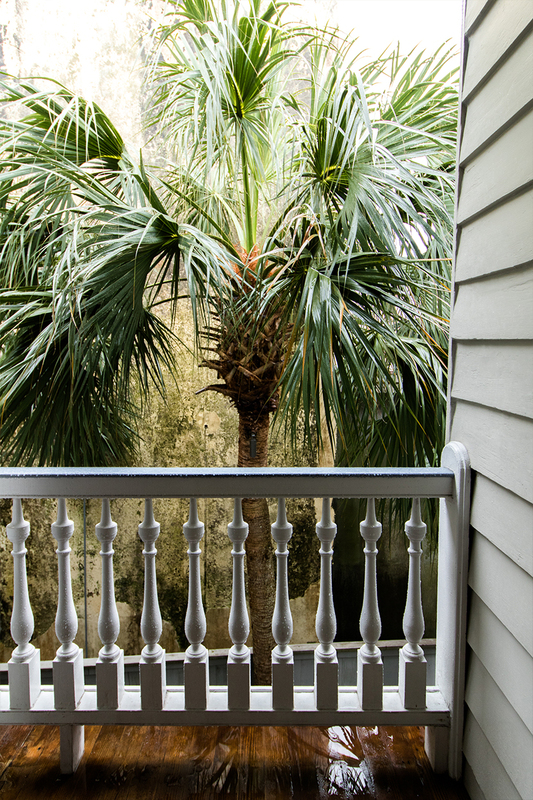 Charleston is only a 4-hour drive from Raleigh, so we packed up and took the Canon EOS Rebel T6i DSLR with us for a fun getaway to a new place. 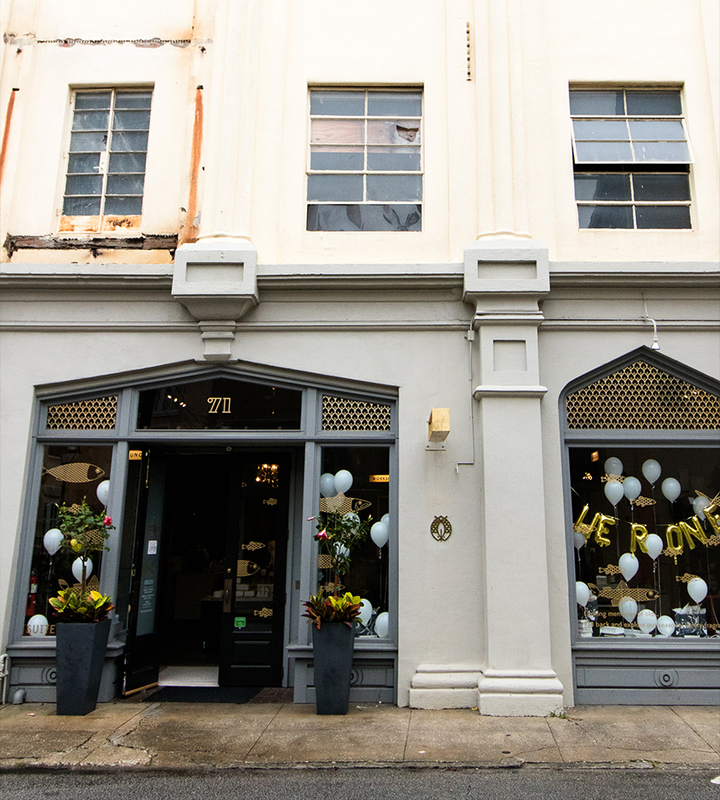 We asked for recommendations on where to stay and literally everyone, including Garden and Gun, recommended the Zero George hotel on George Street. 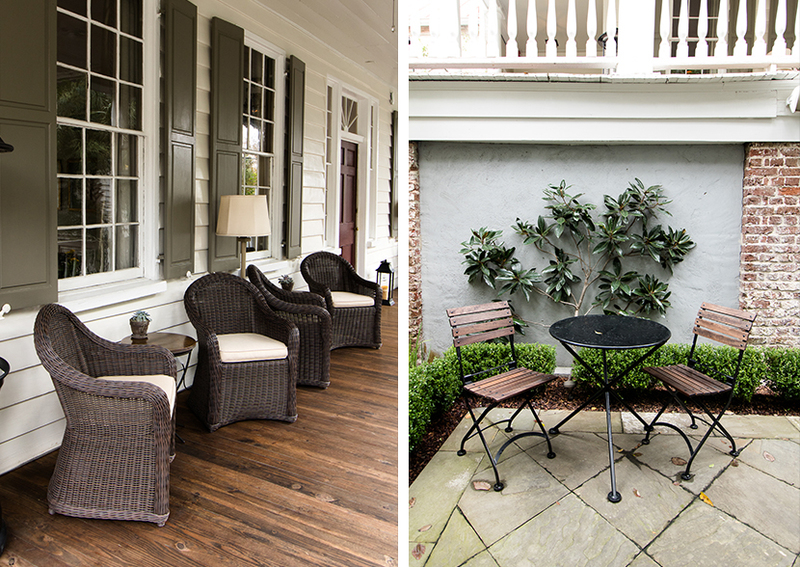 It is absolutely gorgeous and right in the heart of downtown Charleston. We arrived in the middle of a blistering rain storm and as soon as we walked into the kitchen/reception area we were met with a warm fire, some southern hospitality, and a glass of champaign (for Mike). Needless to say, we were immediately in love and much warmer. 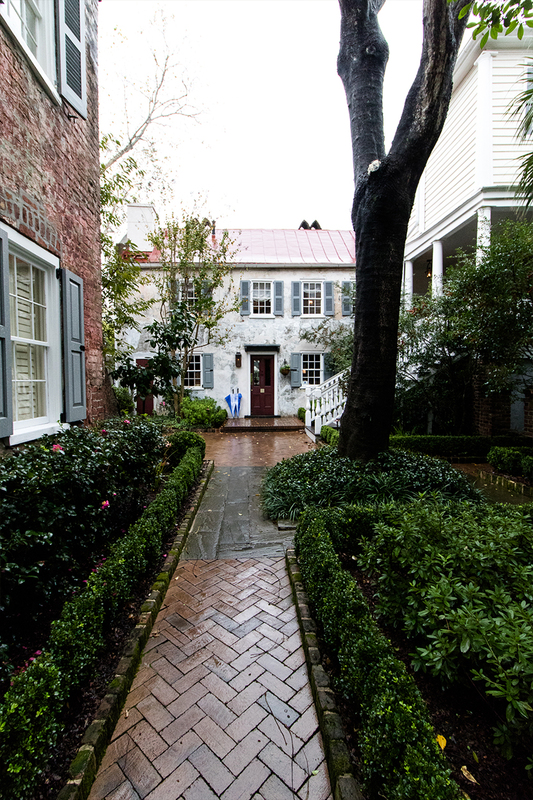 The Zero George is only a couple years old, but the buildings are some of the oldest homes in Charleston. 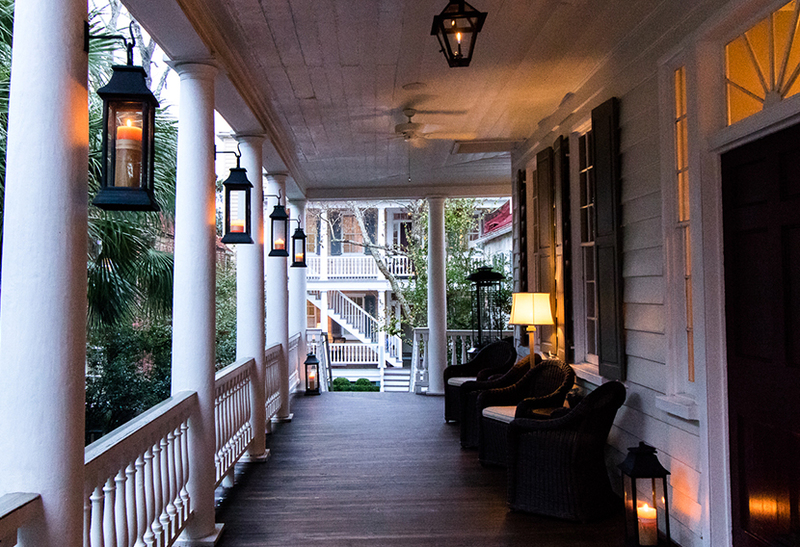 Every inch of the hotel is beautiful, intimate, and just layered in character. Since the hotel is in the middle of the city it is super convenient for wandering, but we were worried it would mean it would be noisy. 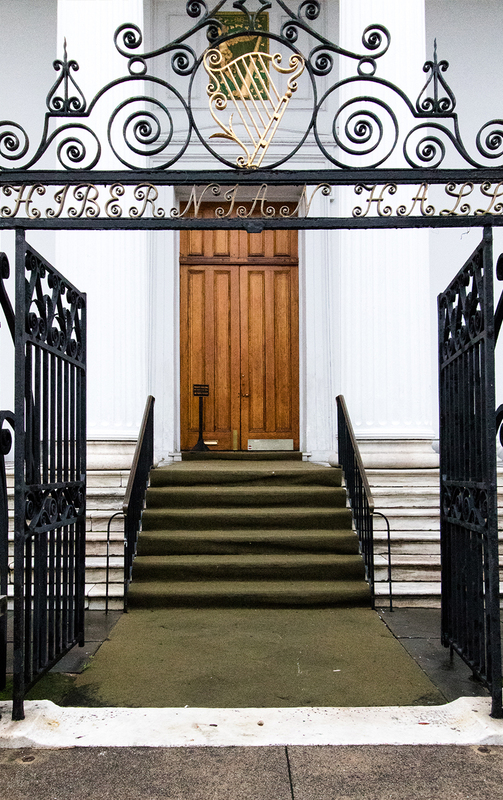 However, the moment you walk through the gates you instantly feel transported to a quiet oasis in the city. Ah, we loved it. 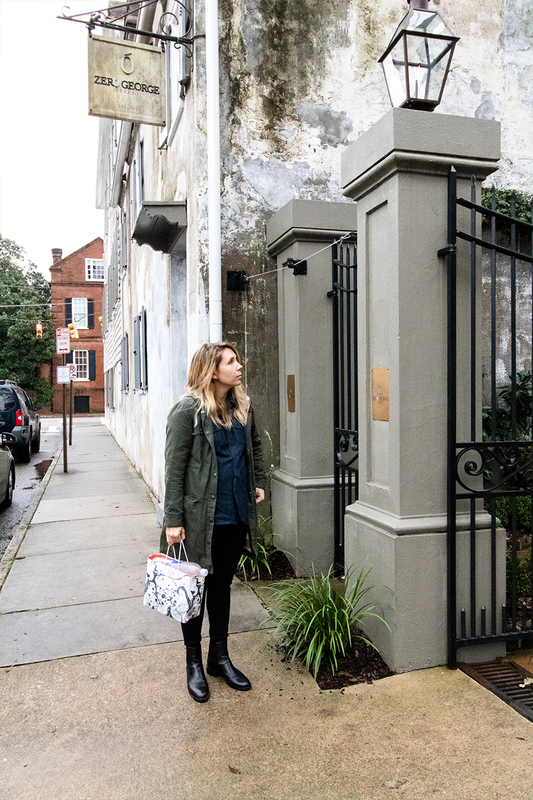 Our plan was to spend the weekend in Charleston and to create a weekend city guide for all of you, along with testing out the Canon EOS Rebel T6i DSLR. On our first night, of two, we arrived a bit late so after immediately checking into the Zero George we grabbed a Uber and went to Edmond’s Oast. With some of the best reviews of all of the restaurants, we had options of that evening we took this as the perfect opportunity to give it a try. 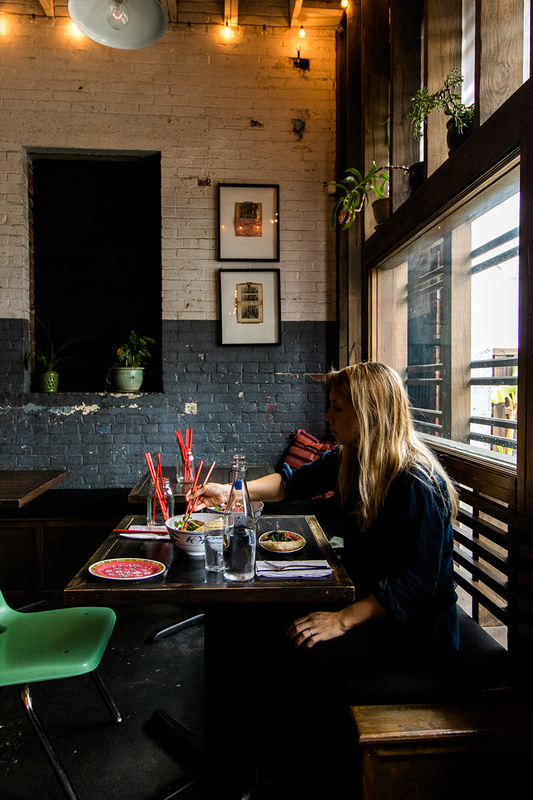 Edmond’s Oast was a perfect spot for a rainy late night eat. 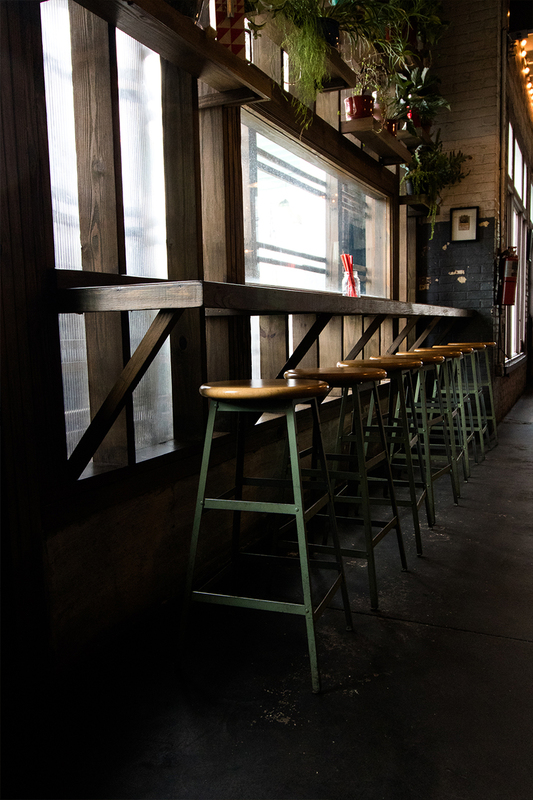 We didn’t have reservations, so we grabbed an open stool at the bar, which actually turned out to be great. 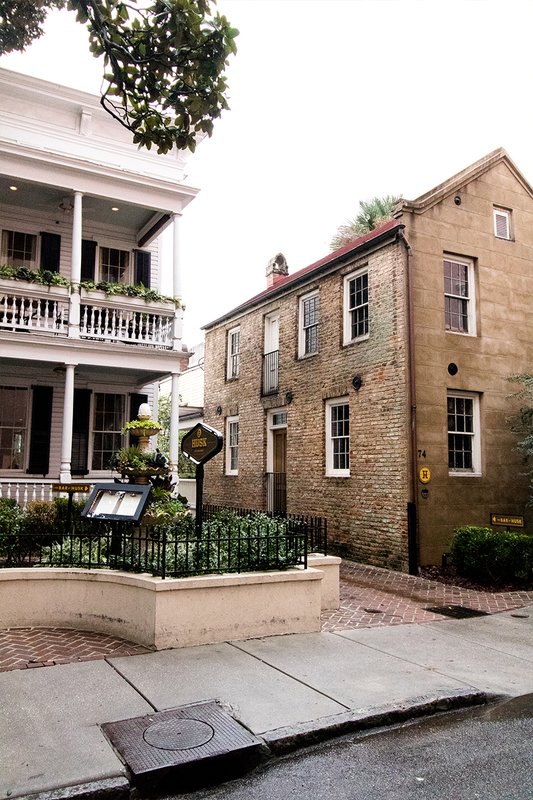 We sat next to some older Charlestonians who gave us more history on the city than we could have ever expected. Overall, we loved the menu and vibe of Edmond’s Oast. After dinner, we headed back to the hotel to get ready for an early morning of exploration. The next day we woke up to a rainy overcast morning, which actually made the city look remarkably similar to areas of London we had explored weeks before. We began the day with breakfast at the Zero George. 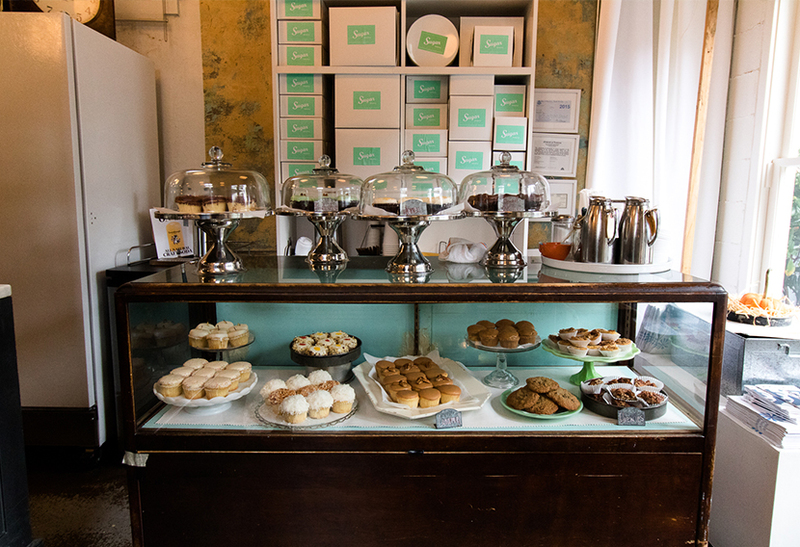 They have a classic French style breakfast every morning with homemade biscuits, granola, and everything else you could want to start the day on the right foot. 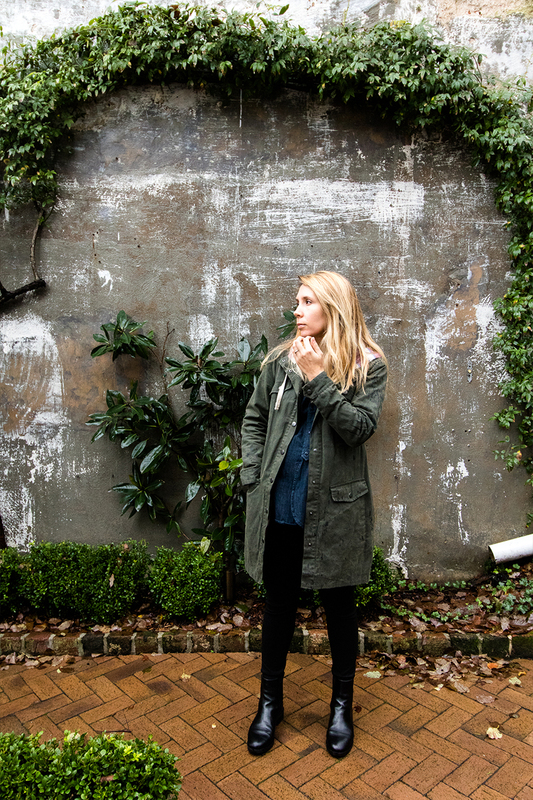 After a slow breakfast, we waited for the rain to stop, then began walking and wandering through the city. It was still fairly wet, and the rain was sporadic, but the wet and gray weather was wonderful for photos. 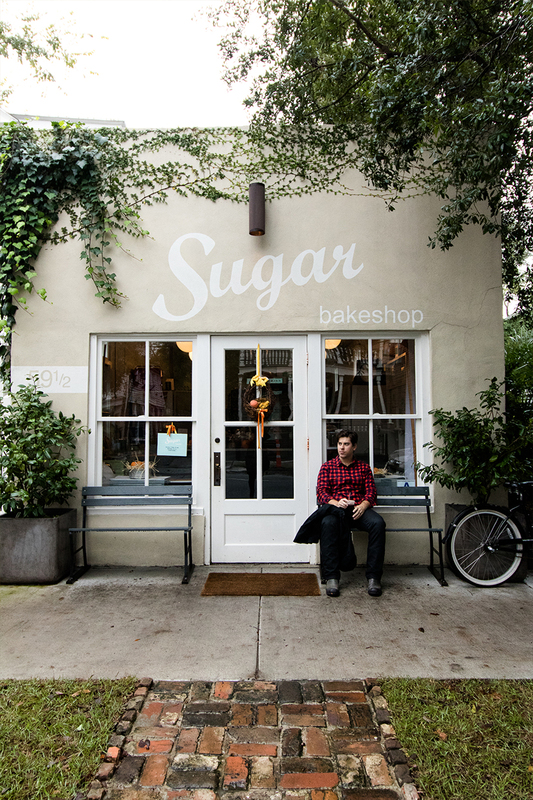 One of our first stops was Sugar. Many of you had recommended it, and though I am not really into cupcakes (sugar has not been a craving for me) we snagged a cold brew coffee for Mike and a molasses cookie for me to munch on throughout the day. 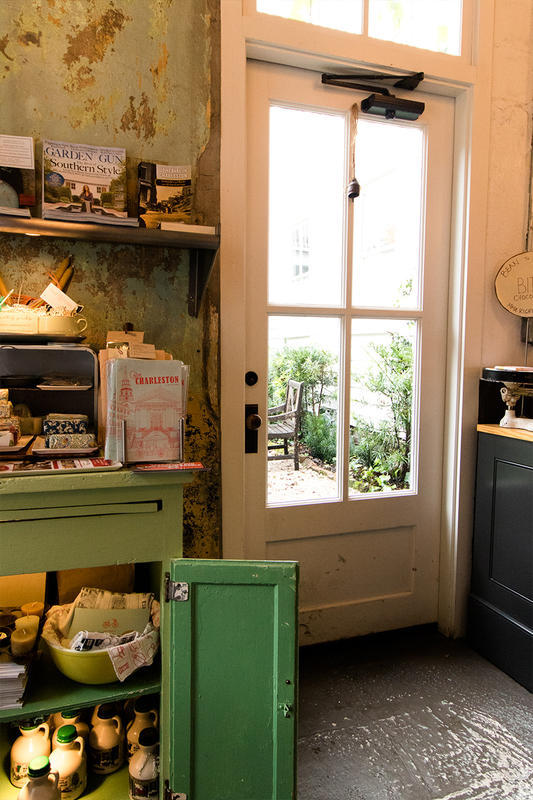 The shop is really cute and tucked away in a sweet neighborhood. 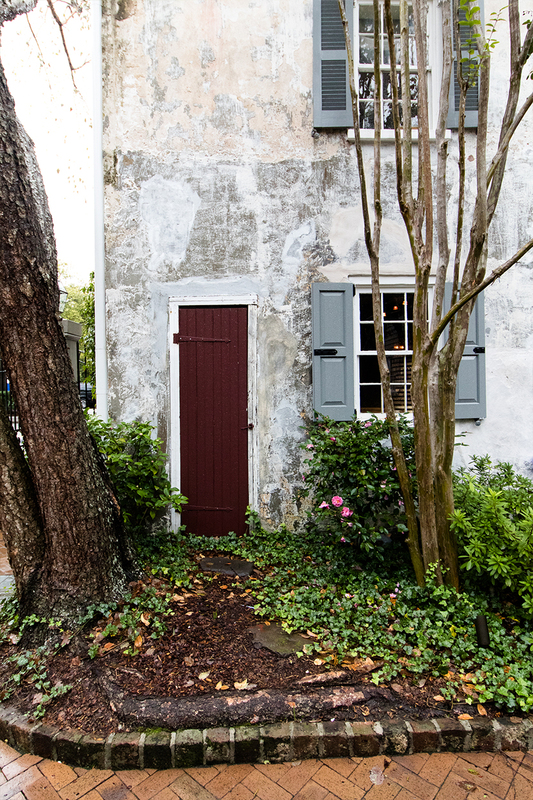 There is so much to explore in Charleston. 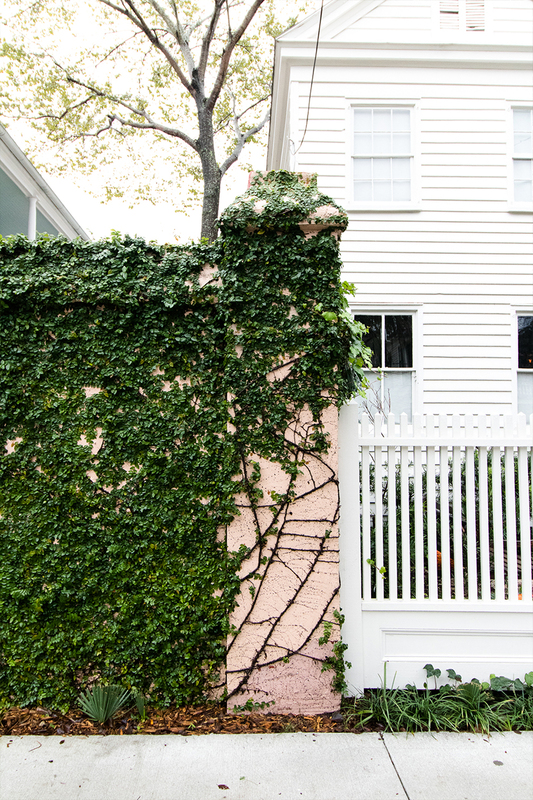 It seems like every street is a page out of a magazine or story book. 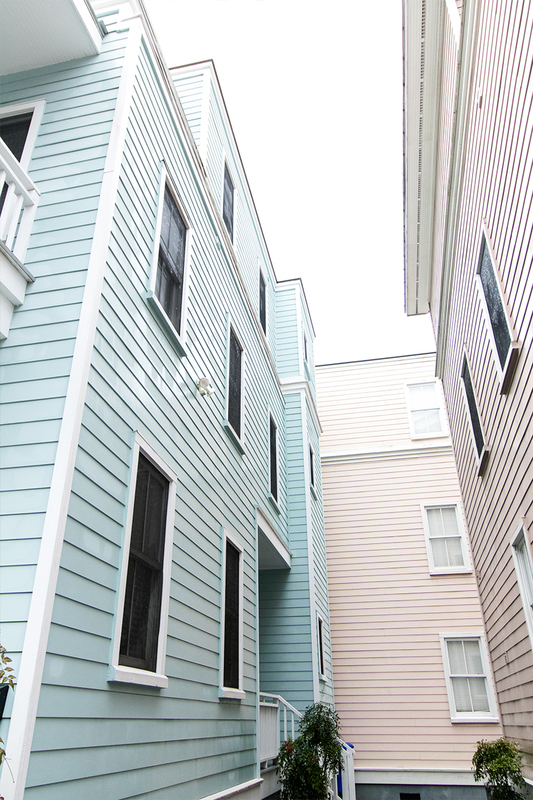 The houses show years of stories and history. 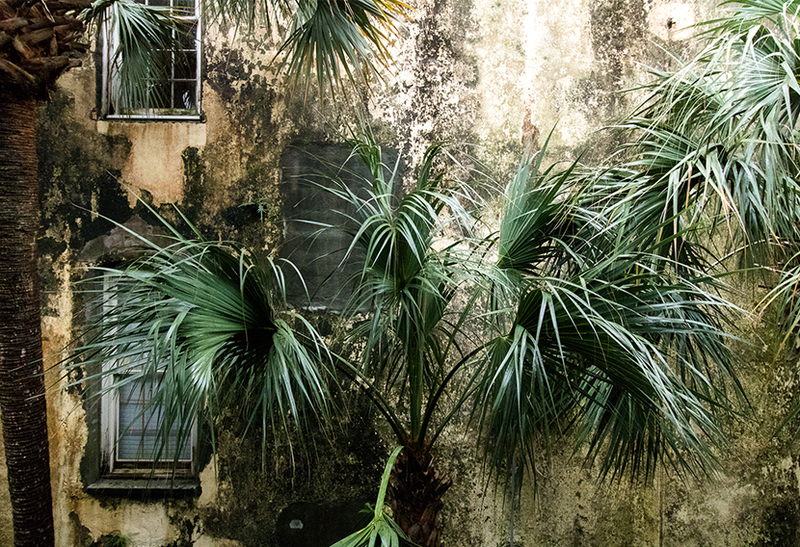 We expected it in many ways to be a little like New Orleans, and in many ways it was. 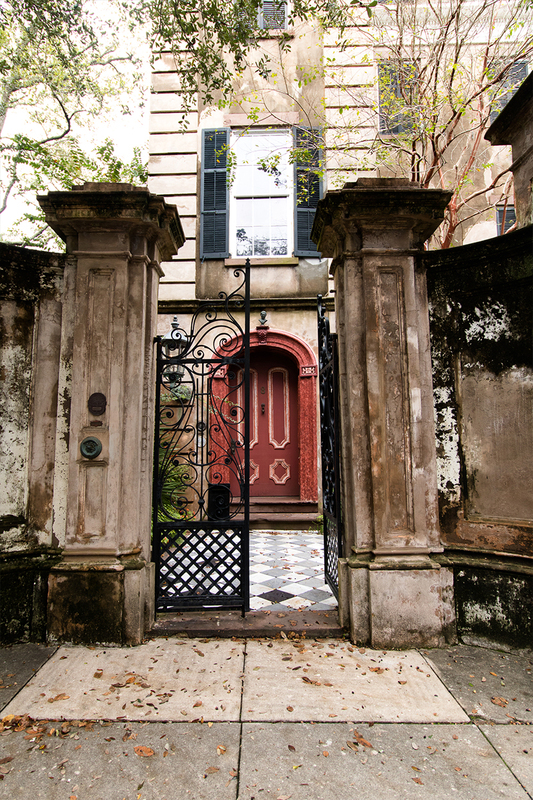 The big difference we noticed was that New Orleans is much more influenced by French architecture, whereas Charleston is far more influenced by the English. If you have been to both, we would love to hear your thoughts as well. 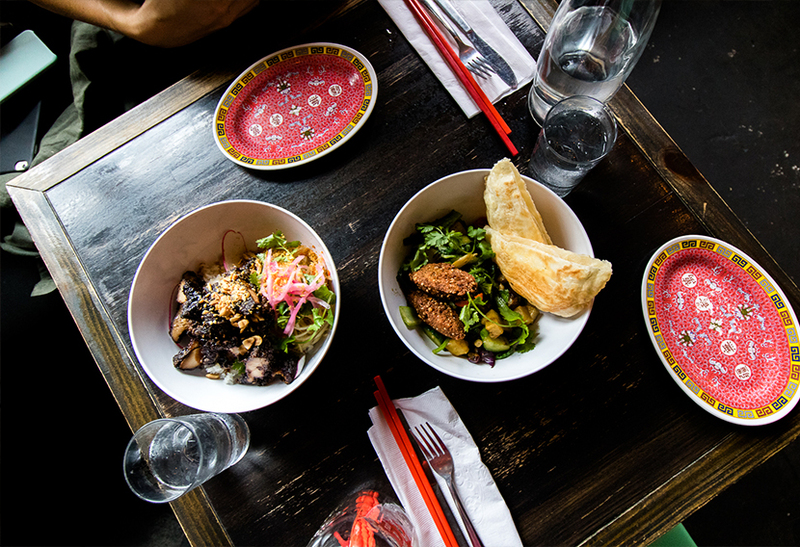 Our favorite meal of the trip was at Xiao Bao Biscuit. 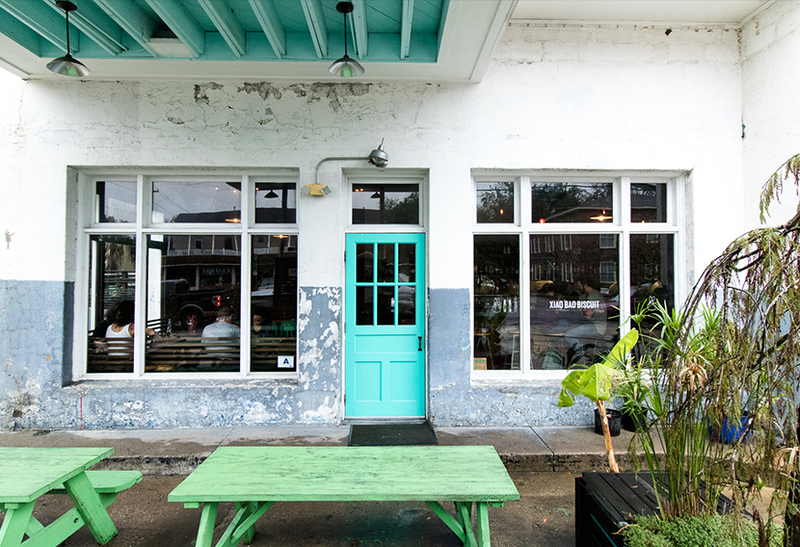 This place is a real treasure and completely not what you might think of for the Southeast and for Charleston, but I have to say that it is a nice balance to all of the other amazing southern food around the city. Not only was the decor perfection, but I am still trying to get over how good the black bean fried chicken was. Do yourself a favor and don’t miss this place. Once we were super full of Xiao Bao, it was time to walk it all off. So we headed to S. King Street to do some shopping. There were so many amazing recommendations of shops to see and we did our best to stop into as many of them as we could. One of our favorite shops was Candlefish. They sell some of the best candles on the market and blend close to 100 of their own scents as well. We stocked up for chilly days ahead at home and cannot wait to give some of them a try. While walking down King Street, we came across a walkway saying there was one of the oldest churches in the US down the dark path. 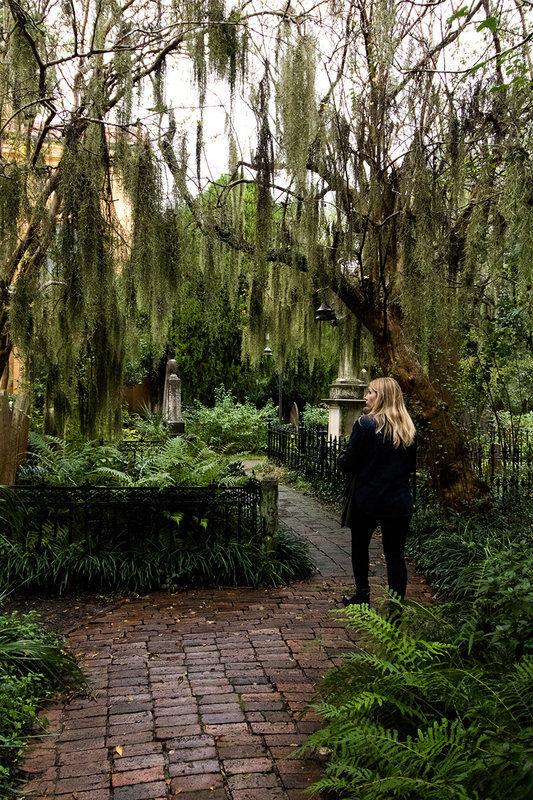 I had a cemetery on my list of things to see while in Charleston so we figured why not wander down the creepy dark path and see where it leads. We couldn’t have been happier we did. 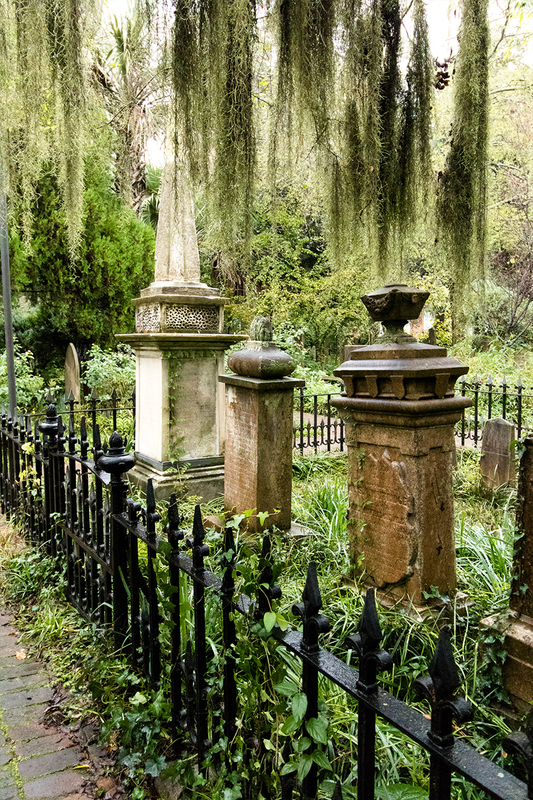 The overgrown paths were canopied with Spanish moss, and the gravestones were so old and worn by the weather they were hardly legible. It was eerie and beautiful all in the same breath. The further down we walked the closer to the water we became. 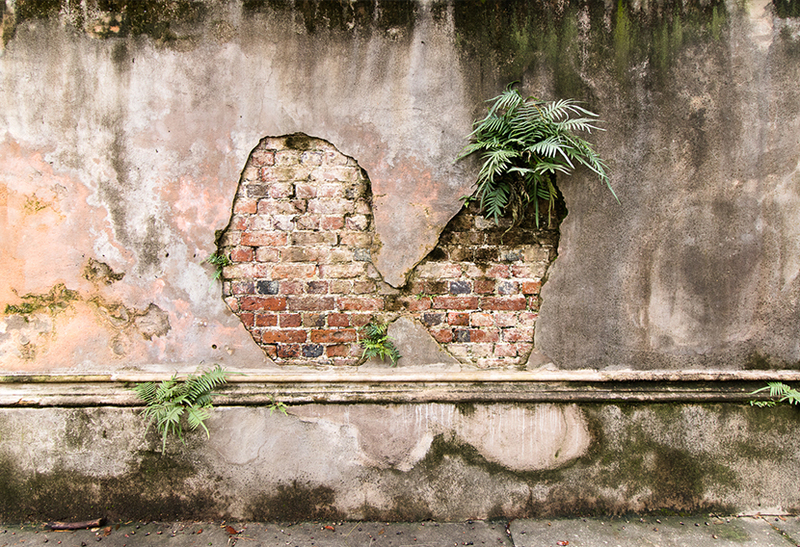 We had read that much of Charleston sits below sea level. This means when waters rise, it really rises. Many of the houses the closer you get to the end of the point have places a few stories up where you very clearly could tie off a boat. Signs of years of being prepared for flooding. 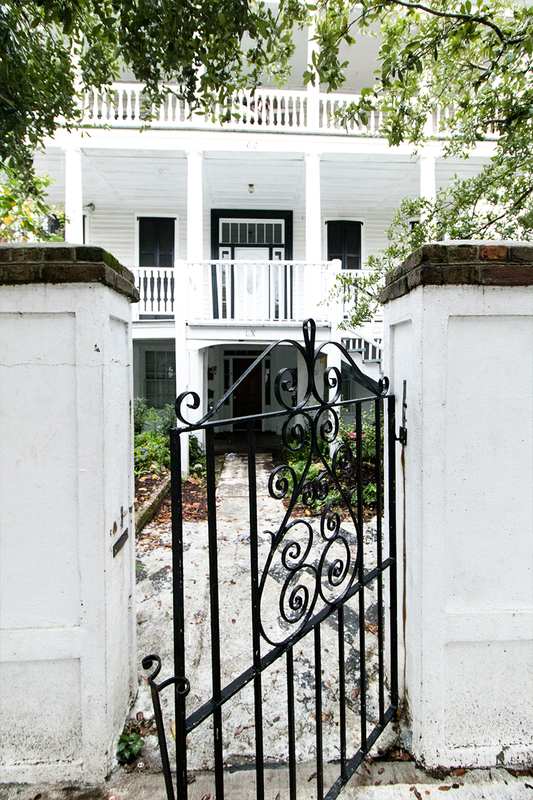 On these streets, you will see some of the most amazing homes in the south. 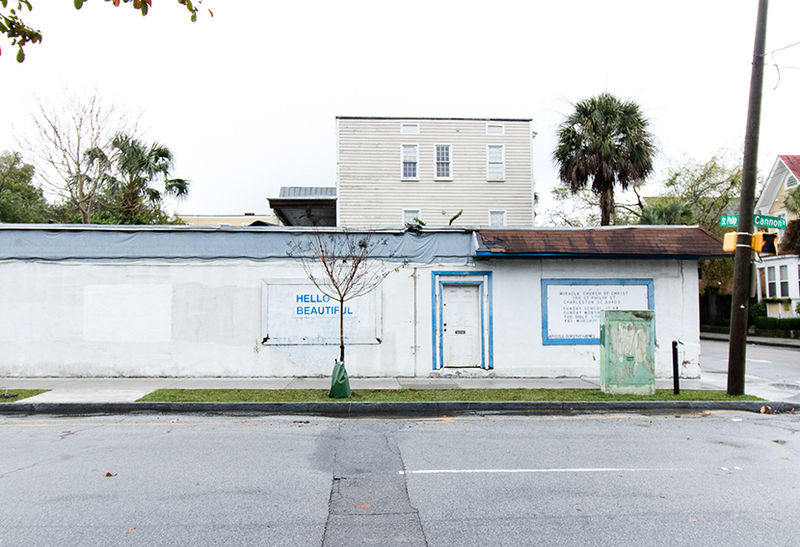 They are everything you would imagine seeing in Charleston. Wandering the city is pretty easy, though when we got tired we would grab a Uber from one place to another. It was usually between $5-$10 a ride anywhere within the city, which is nice. Another great spot we hit was The Daily, which is owned by the same people as the Butcher and the Bee just around the corner. We stopped for a refresher. 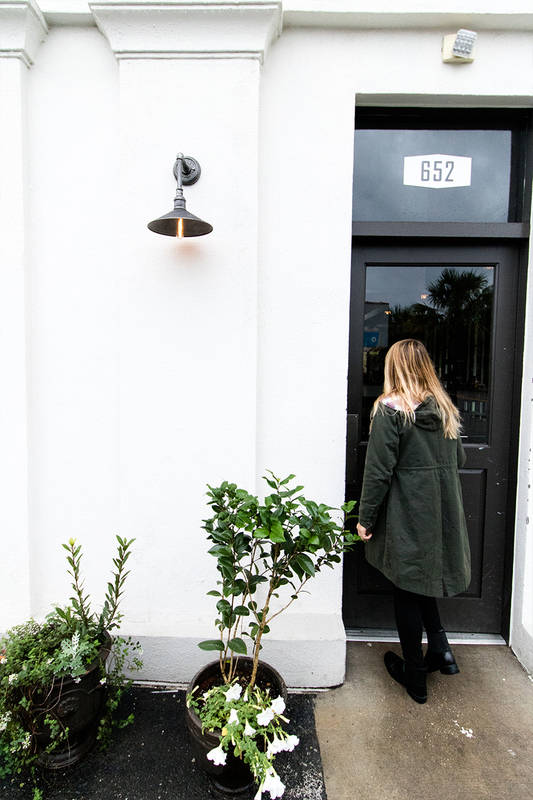 They make fresh juices, take away items, and other light fare for the perfect daily pick-me-up. 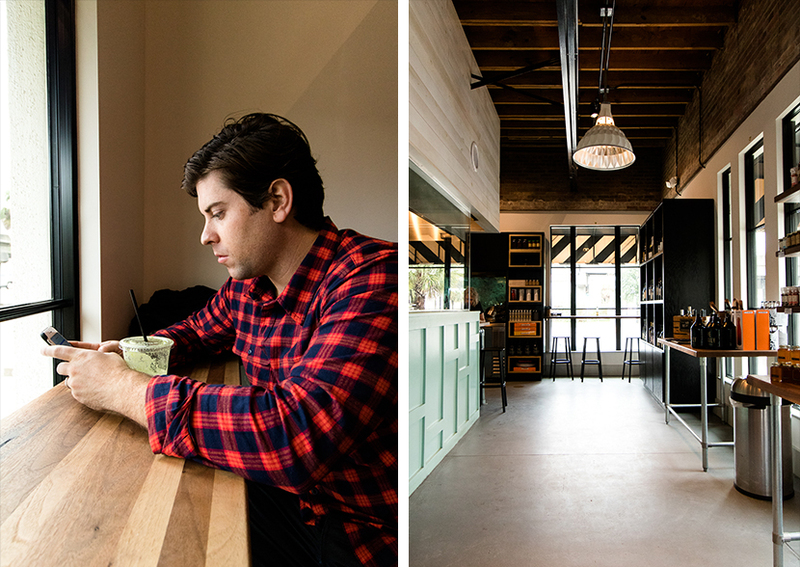 Think of it as a coffee shop without the focus on coffee. 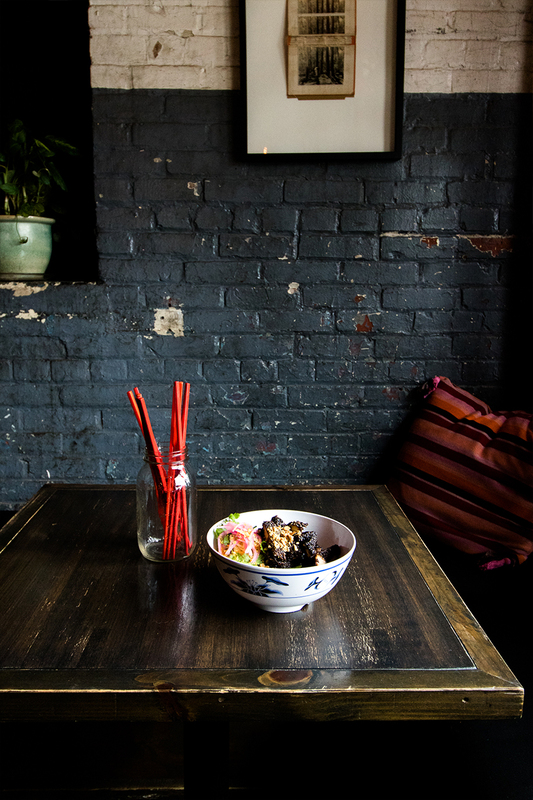 The perfect place to meet up with someone in the middle of the afternoon or pick up something quick. 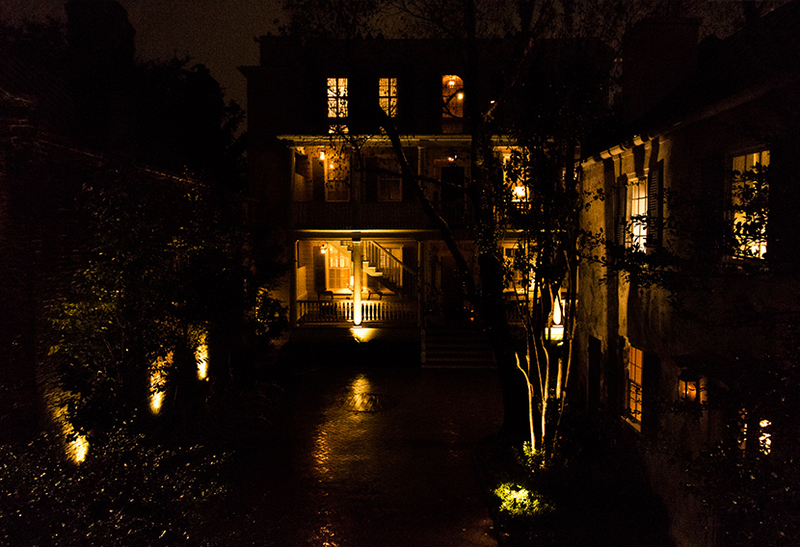 Our second night in Charleston, we made reservations at Husk. Everyone told us it was a must do. It was a great choice, and though we didn’t get to enjoy their bar because we were pretty sleepy after our dinner, we hear it is just as amazing as the restaurant. The food was beautiful and well done. 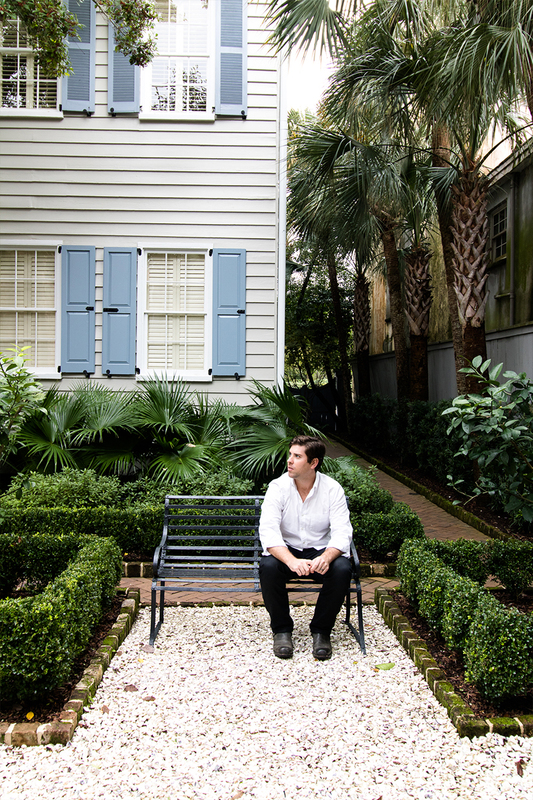 Classically Southern with a nod to Asian cuisine as well, which is iconically Sean Brock’s style. 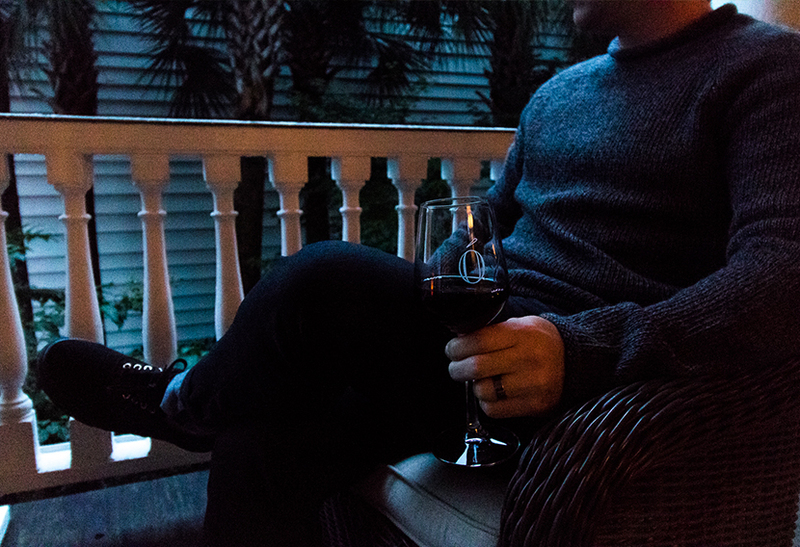 The evenings at Zero George were what we enjoyed the most. It was wonderful after a full day wandering the city just to have a quiet and relaxed place to come back to and just enjoy the cooler weather. We anticipated the weather to be quite sticky and warm, but it was nice the days we were there other than the rain. 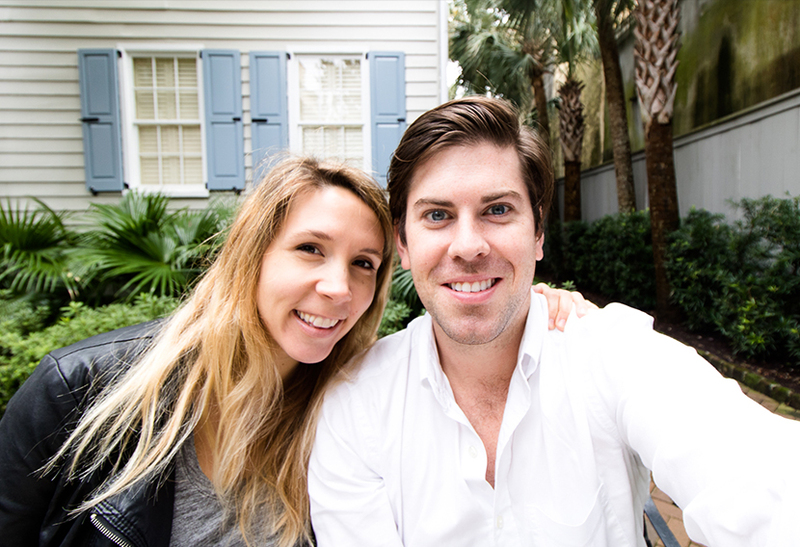 Our trip to Charleston was special, and we were so happy to have had the Canon EOS Rebel T6i DSLR to help us capture it all from the photos to the video. It made our travel lighter, and we still were able to capture the trip just as well as we would want. Thanks to Canon for challenging us to give this guy a try. We couldn’t have loved it more. If you want to see the full list of places we wanted to go or did check out our Google Map. There are so many wonderful places to go and see. 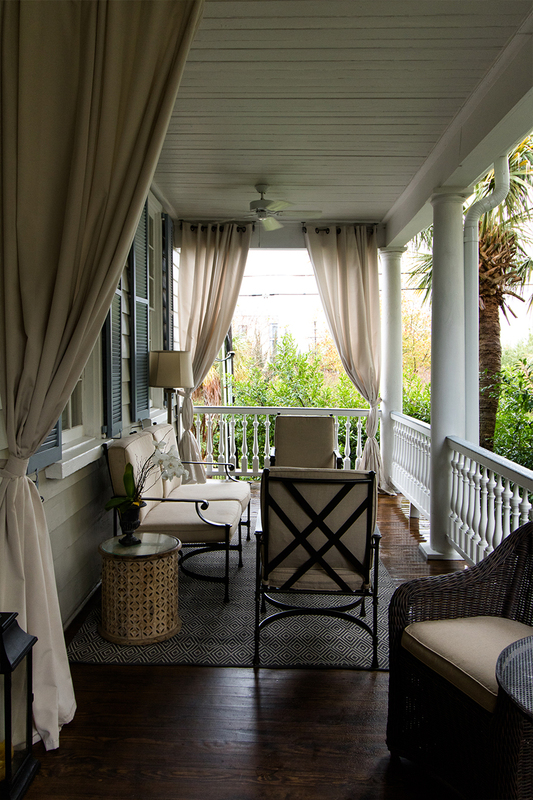 A weekend in Charleston is a must. This post was brought to you by Canon. Discover more great travel tips and tricks here. lovely post. I have yet tO explore the south. Your photos make me miss the usa as i make my way around the globe. I love Charleston. I HAVE LIVED HERE FOR ABOUT 3 YEARS NOW AND EVERY TIME I GO downtown, I DISCOVER something NEW, which IS amazing for A SMALL TOWN. It’s A GREAT CITY TO explore. THE ONLY negative THING ABOUT THIS AREA IS THE AWFUL GROWING PAINS. 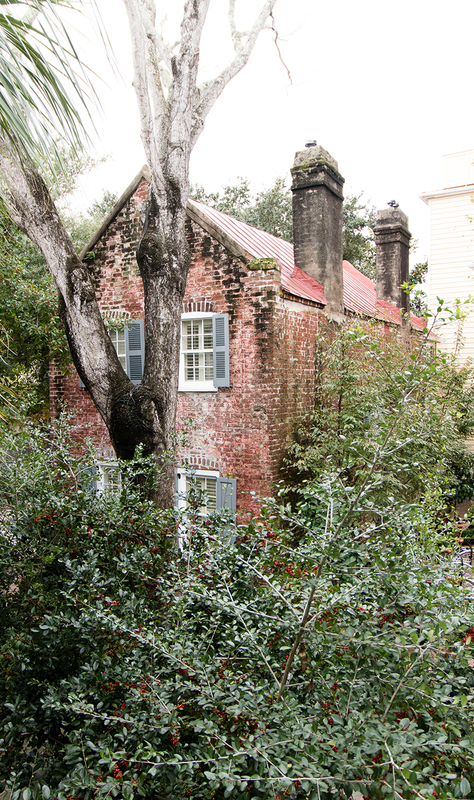 EVERYONE WANTS TO LIVE HERE SINCE Charleston IS ONE OF THE “IT” cities TO BE IN. gorgeous photos of one of my most favorite places in the world! i lived there for many years and regret leaving! Y’all are adorable! All the great things you have said about raleigh and charleston are really making me want to plan a trip to the carolinas. They are from Clarks 🙂 Great shoes!!! 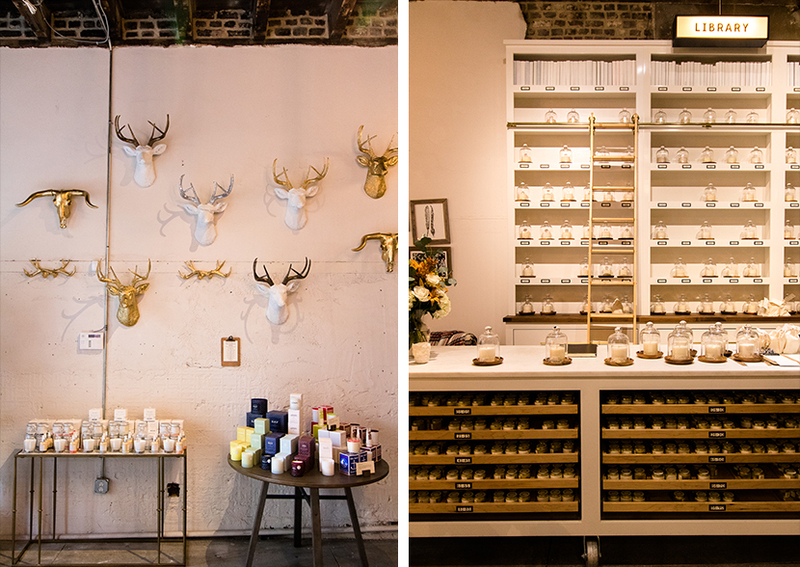 Next time you are in Charleston check out a wonderful little shop on 23 John street just off upper king called Dandy Boutique. It’s a great place. Specializing in vintage inspired clothing. Charleston is my second home. Loved reading about your trip. 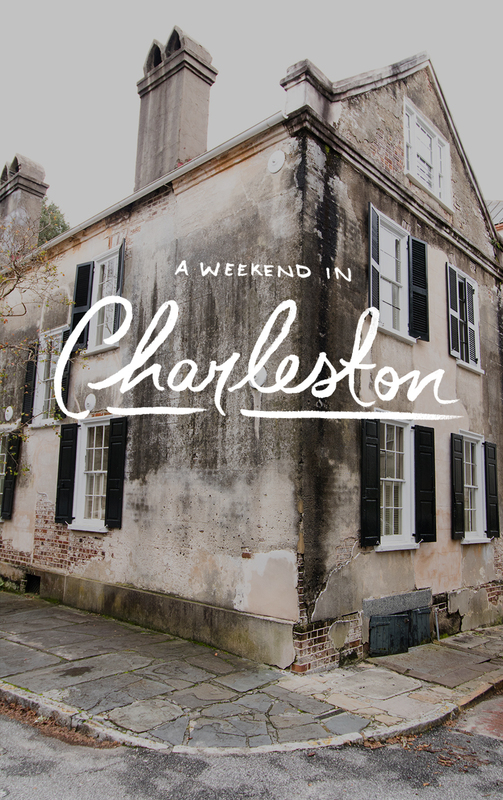 It is helpful in planning my first trip to a long awaited charleston adventure! Love this post, can’t wait to go! What a wonderful article. I live in Mt. pleasant and my daUghter Alyson works at Zero George! I agree with you Zero George is a fantastic place to stAy and of course to Dine with CheF Vincent is a must.